Discover and buy things you want. Share things you GOT. 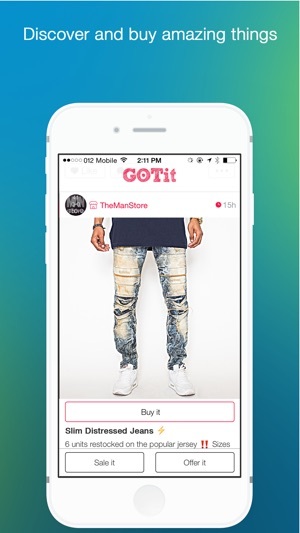 GOTit lets you connect with your favorite stores and brands, and get offers for things you want. 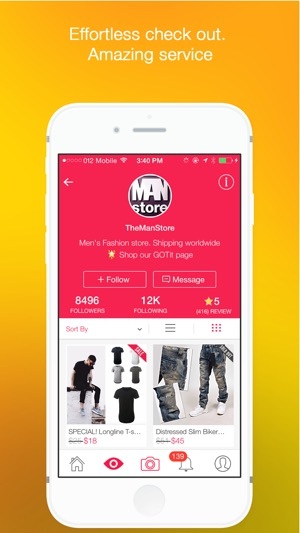 Follow your favorite stores and shop directly from GOTit. After you GOT something, share it with your friends and help them discover and shop for products based on your recommendations. you can see what your friends GOT, make trends and see whats trendy. We would love as many people to join GOTit, it will be much for fun:-) Help us spread the word out! invite your friends and your favorite stores to join GOTit as well. We would love to get your feedback and ideas you may have. Our mail address is info@gotitapp.net. 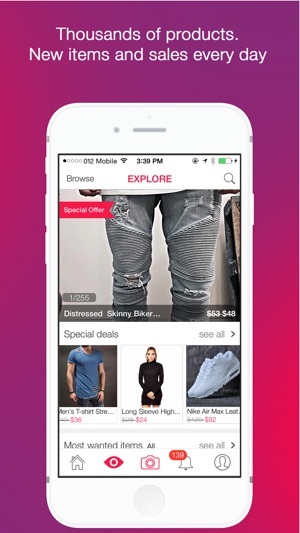 GOTit – download right now the most exciting social shopping App and get in on our promotion - Store credit you can use towards your first purchase! 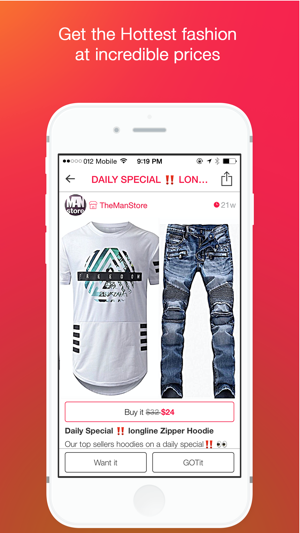 Share your fashion Stories and get store credits to shop on the app. Also, Invite your friends & win store credits when they join or shop on GOTit. It's so easy! I was looking for some pants that were edgy, yet had a nice trendy look to them, and I found these babies right here. Initially the 30 was too tight, but after I contacted the seller he was able to not only exchange the size for me but I received the delivery for the 32 in literally 2 days! I have bought numerous items from this store (these were the MOST recent purchase), and I love every single item. It's fast delivery, great response time to questions or concerns about sizing, fit, etc... and dope pieces. If you see something you like in their store don't hesitate to purchase it! I'll be buying again and again and highly recommend TheManStore! My son told me about this app for items he wanted. I was skeptical, & told him I wasn't giving $ to some random app & never received items. I said it was prob a scam. After months of delay I gave in & placed an order to try it out. Order came quickly, items look just as described & pictured! I can contact seller straight from app & get a response within 24hrs, I got response to questions same day unless it was after hours. One shoe I ordered the seller contacted me to let me know it was damaged & couldn't be shipped. The seller made some contacts & got another shoe delivered to me within a week. I am now a believer! It's legit! I appreciate great customer service.